I got a new pack of origami paper, the Origami Paper Mega Pack , that comes with about 895 sheets of patterned paper for a good price. 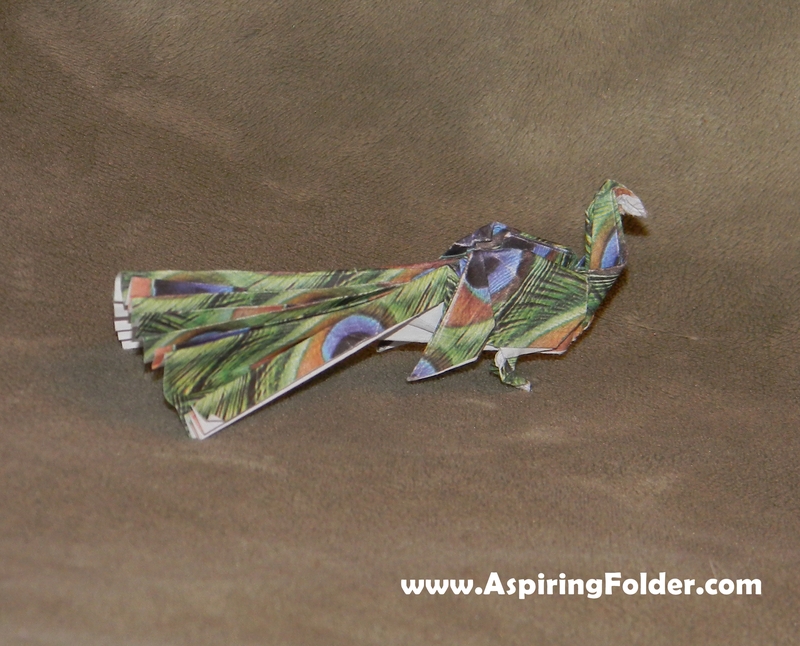 I used the paper with the peacock print to make an origami peacock. You can find this model in John Montroll’s book, Origami for the Enthusiast . That’s an awesome peacock model and some really awesome paper you used too! Thanks! I love this pack of paper.